I had my baby shower on Sunday, July, 31st 2016, wearing high heels and a big smile on my face as I was 31 weeks pregnant and feeling great. I laughed through the day, thinking how easy and beautiful my pregnancy had been, how I’d had no morning sickness and a strange amount of energy for someone in the third trimester. I ate cake, got spoiled and played lots of fun games with my friends and family. The next morning, I had a check up at my ob/gyn, and some blood tests came back indicating a high level of protein in both my blood and urine. My OB took my blood pressure which had been totally normal up until that stage and it was through the roof. She told me to go home and rest, ordered a few more blood tests and said to return in the morning for another BP test. Sure enough, the next morning my blood pressure had risen further, and the test results indicated I was starting to lose liver function. I was diagnosed with preeclampsia and put on BP meds, but nothing seemed to lower it, and on the Wednesday 3rd August I was told to pack a bag to get a monitoring of my baby at the hospital. I live in a fairly small town, and the private hospital I was due to birth in did not deliver before 34 weeks, so when I arrived for the monitoring I assumed it was standard practice when things weren’t quite working out the way you thought, however I was totally unprepared for what was to follow. A lovely nurse took me and my husband into a room, hooked me up to the trace machine, and left us for a while. I was ordered to have more blood tests and urine tests and my BP was monitored every hour. By 4pm my blood pressure was up to 170/110 and the baby wasn’t responding well on the trace. A lot of worried nurses and doctors appeared and asked if I had blurry vision or headaches (to which I didn’t) and this was followed by angry yells of my ob/gyn telling her staff that "the mother or baby could die if we don’t do something soon." Those words echo in my head to this day, I couldn’t believe I was so sick when just a few days ago I was wearing heels and laughing with my friends. The team of medical staff that helped me were fantastic. I ended up in ICU, then being transferred to a public hospital in a larger city that has one of the best NICUs in Australia. I was told to be monitored with the hope that my blood pressure would get under control and I could come back around 36/37 weeks to give birth at the hospital I had planned to, however this was not the case. On Saturday August 6th 2016 ( not even a week after my baby shower) I got this horrendous stabbing pain down my back and left side. Sitting, standing , laying down were all excruciating and the doctors arrived and told me that my organs were starting to fail due to the preeclampsia and that they would be taking my little boy out by emergency c-section. I had no options, I was told if I didn’t do this I would die, and the only option was delivery. The whole operation was a blur, a scary surreal blur. This was my first baby, and I had imagined the experience to be so different to the reality. The reality was that whilst I’m lucky that my baby survived, it was very touch and go for a while, for both him and me. Ben was born perfectly, at 1.9 kilos(which is quite large for 32 weeks) and breathing on his own. He was whisked off to the NICU where he remained for 10 days, being fed through tubes while I had to look at photos of him to try and get my milk to come in. The worst part was that my blood pressure remained ridiculously high for weeks after giving birth, which made me feel like I was given the short straw, having to deliver against my wishes, and not feeling any better. Eventually (at what would have been, 34 weeks gestation) we were transferred back to my original hospital, where we remained for a further 3 weeks until we were finally allowed home. Preeclampsia nearly killed me and could have robbed me of my beautiful boy, but it also made me stronger and the mum I am today. What if Your Doctor Refuses to Induce? JOIN OUR MAILING LIST. We respect your privacy. Copyright © 2019 Preeclampsia Foundation. All rights reserved. The Preeclampsia Foundation has a firm commitment to Internet privacy. You can visit most portions of preeclampsia.org without telling us who you are and without revealing any personal information. The only information we collect from a normal web site visit is the name of your Internet Service Provider, the browser and type of machine you are using, the web site that referred you to us, the pages you request and the date and time you request them. We use this information to generate statistics and measure site activity to improve the usefulness of the site to our visitors. The Preeclampsia Foundation may collect names, email addresses and other personally identifiable data about visitors when such data is voluntarily submitted to preeclampsia.org. For example, our site uses forms for visitors to register or make a donation online. Contact information from these forms is used to send information about preeclampsia or Foundation activity to our visitors. Financial information is used to bill or provide receipts to visitors in connection with their donations. To ensure the security of credit card and personal information, this Web site employs industry-standard security methods, including the Secure Socket Layers (SSL) protocol for the encryption of transmitted data. The Preeclampsia Foundation goes to great lengths to protect the confidentiality and integrity of any personal information you share with us over the Internet. In instances where we may partner with medical organizations to conduct research on preeclampsia, your participation may be expressly requested, but your permission would be required prior to sharing personally identifiable data with authorized medical organizations. 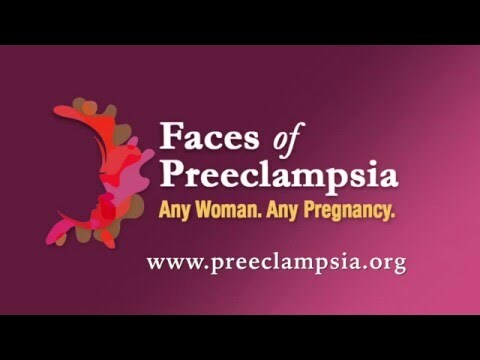 The Preeclampsia Foundation makes every effort to ensure the secure collection and transmission of sensitive user information using industry accepted data collection and encryption methodologies. The Preeclampsia Foundation does not sell or otherwise disclose user information outside the organization. We will not sell, trade or share a donor's personal information with anyone else, nor send donor mailings on behalf of other organizations. Should you wish to review or make corrections to your personal information, please click Login/Join at the top of the page and enter your login information. A page titled "Edit Your Details" will appear in the main body of the page where you can view and make corrections. If you wish to be removed entirely from our database, please email info@preeclampsia.org.